I think it is a very individual choice of audio v printed word. Personally, I have recently shifted from about 70% reading printed books and 30% listening to audiobooks to the exact opposite. 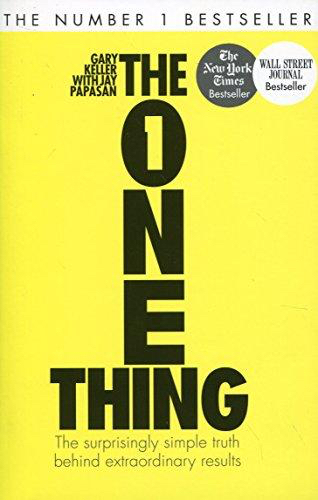 I loved reading the printed version of this book ‘The One Thing’ 2 years ago, however, I have recently also listened to the audiobook. Not only was it convenient to listen to whilst I did a lot of walking and traveling by car this month (something you cannot do with a printed book) on reflection I got even more out of it in terms of it engagement and learning. I prefer it when the audiobook is read by the author as this often adds more to an audiobook listening experience, however, a good narrator can also make the difference (like Jeremy Irons who’s reading of The Alchemist is magnificent). The biggest personal distinction is that I believe my preferred learning style is marginally ‘audio’ (listening) over ‘audio digital’ (reading). When you add the enjoyment of listening to this particular audiobook to the fact that I was able to do automated physical tasks like walking at the same time. There is also the option of ‘making notes about the content whilst listening to it’ which is a powerful accelerated learning technique. Overall these is a compelling case to choose listening over reading. I can speed read printed words however, I do not find listening to the ‘higher speed audio’ works for me. With printed words you have speed reading potenital and options far betond the speed at which you consume the content. With printed words you are more easily able to jump around the content when wanting to cross-reference or re-read something as opposed to the awkwardness of re-winding your audiobook. My work in business leadership focuses a lot on the issues covered in this book around maximising human potential, personal productivity and personal fulfilment. The One Thing by Gary Keller is for people who are seriously interested in maximising their potential in their working and non-working life. Yes, I have read many books of note on these subjects, but even if you have heard some of the ‘being more productive’ concepts in other formats, this book serves as a great reminder about the fundamentals of fulfilling your potential, interestingly perhaps illustrating his ‘different approach’ the author manages to avoid using the word ‘productivity’. 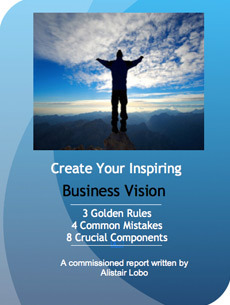 If I was to sum up the key premise of the book in a sentence it would be to say… If you effectively identify one thing that you wish to accomplish above all others and prioritise your actions based on this, turning off all other distractions whilst you do so, then you will move beyond simply ‘getting more accomplished’ to ‘doing something extraordinary’. Metaphorically in the same way that dispersed light cannot break down a barrier, yet if you were to focus all the energy from that light into a single point you could create a laser beam that would penetrate such a barrier. Gary Keller’s approach to ‘Lie 1’ is similar to Steven Covey’s ‘urgent v important grid’ where being an effective person is about focusing on the tasks that are important and NOT those that are ‘urgent but not really important’. He points out that to do lists are LONG ‘success lists’ are SHORT! Keller reminds us of the 80 / 20 Pareto Principle, that most people understand, but few apply. Which concludes that the most important 20 percent of the activities you have identified for a particular outcome will get you 80% of that outcome. Keller tells stories and provides real-life examples that obliterate the myth that ‘multi-tasking is highly inefficient’. He conclusive explains how most of the time ‘You cannot fully focus on two things at once’. I like the emphasis that the author puts on this subject as it is absolutely key to understanding how to most effectively achieve the transformation of any given behavior. Like some other great teachers on ‘Personal Productivity’ such as Eben Pagan, Keller explains that it is your ‘default settings’ that most influence how effective you are, something Tony Robbins refers to as ‘Neural Associative Conditioning’. Keller points out that if you rely on ‘will power’ to get important things done you are relying on something that you only have a finite supply of until you ‘recharge your supply’. The best of the above activities to consistently invest a portion of your finite, daily will power in is ‘implementing new behaviors’ that are empowering! This is because once these behaviors become ‘your default’ you no longer have to focus your will power ion them and this finite form of energy can be employed elsewhere. Gary Keller states that an extraordinary life is a counterbalanced life where you push out the polarising boundaries of challenge and support for example if you work hard and rest well. He argues that doing things in balance equates to average. The book is full of insights and references to studies and I have no doubt that anyone implementing the insights in this book will experience a powerful shift in their life, that will probably be noticeable in a matter of weeks.